NeoSkin by Aerolase® takes skin rejuvenation and tightening to new levels by making possible a comprehensive treatment that address tone and texture, redness, pigmentation, laxity, and other unwanted skin conditions in a single treatment with a single device. NeoSkin uses 650 Microsecond Technology™ to safely, effectively, and tolerably renew the skin’s natural, youthful glow. It offers patients of all ages and skin types comprehensive results that previously would have required multiple devices or therapies to achieve. Issues with tone, texture, and enlarged pores are caused by factors such as genetic predisposition, sun exposure, oily skin, and the slowed growth of collagen. These issues can leave skin looking rough, bumpy, and uneven. Redness and veins can be caused by genetic predisposition, sun exposure, and even your lifestyle. Inflammation in the skin causes a network of vessels to form, which can appear as red patches, spots, or spider veins on the surface of the skin. 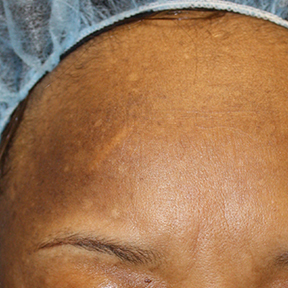 Hyperpigmentation can appear due to genetic predisposition, sun exposure, and even hormones. These factors stimulate excess melanin creation in the skin, causing brown patches, spots, and melasma to appear. How Does NeoSkin Help Your Skin? The deep heating laser energy stimulates the growth of new collagen. This addresses issues with tone and texture, reduces fine lines, and leaves the skin looking smoother and fuller. 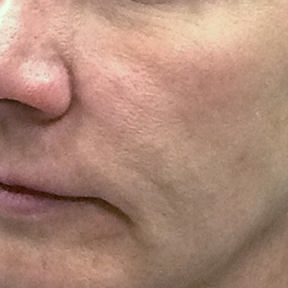 Focused laser energy coagulates unwanted vessels and eliminates inflammation in the skin. This addresses spider veins, angiomas, rosacea, acne, and other redness. Focused laser energy also clears any excess melanin, which appears as hyperpigmentation in the skin. This addresses melasma and brown patches, age spots, and sun damage. Contact us to find a NeoSkin provider near you. We will send you the contact information for the providers closest to you. 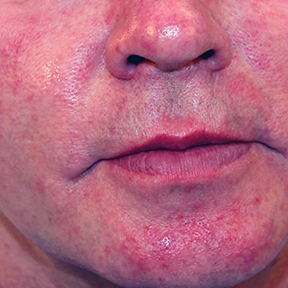 Only users of Aerolase 650 Microsecond Technology™ can provide this unique treatment.